EMPI 2345 Carburetor Tune-up Kit WEBER 40 DCNF. Basic VW carburetor repair kits comes with floats and accelerator pump diaphram, needle/seat and all necessary o-rings & gaskets. 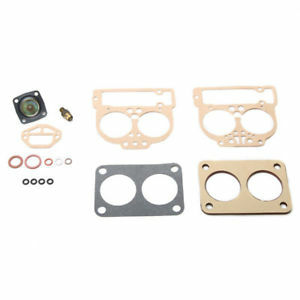 Basic VW carburetor repair kits comes with floats and accelerator pump diaphram, needle/seat and all necessary o-rings & gaskets.